Therefore, when it is the case that the Yahood and Nasaaraa [i.e. those amongst them who deviated from the pure religion of the Prophets and Messengers of Bani Israa’eel – Moosaa, Eesaa and others (alayhimus-salaam)] were cursed and they earned the severe wrath of Allaah, [as the Messenger said], ‘’The wrath of Allaah is severe against a people who take the graves of their Prophets as places of worship’’ [Ref2], even though they loved the Prophets and built places of worship on their graves, then what about those who defile the greatest religion [i.e. 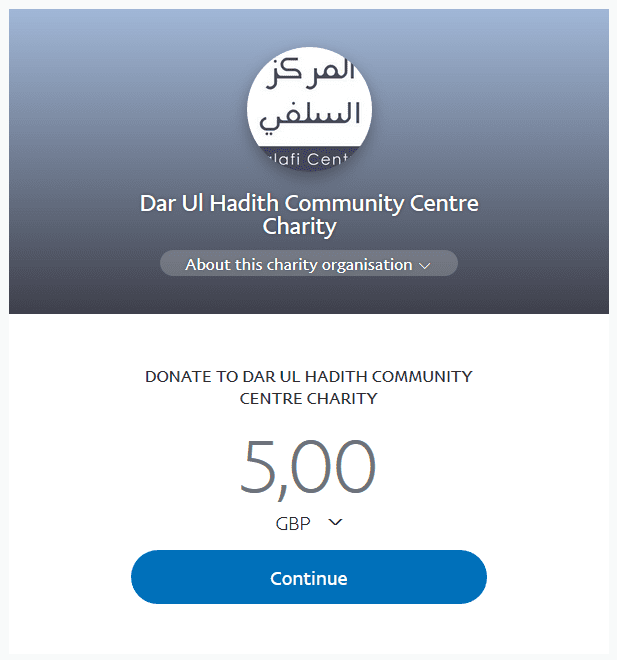 Islaam] with shirk- by doing that which those Yahood did. So, at present Allaah’s curse and severe wrath applies to them [i.e. the grave worshippers] when they take the graves of others as places of worship. 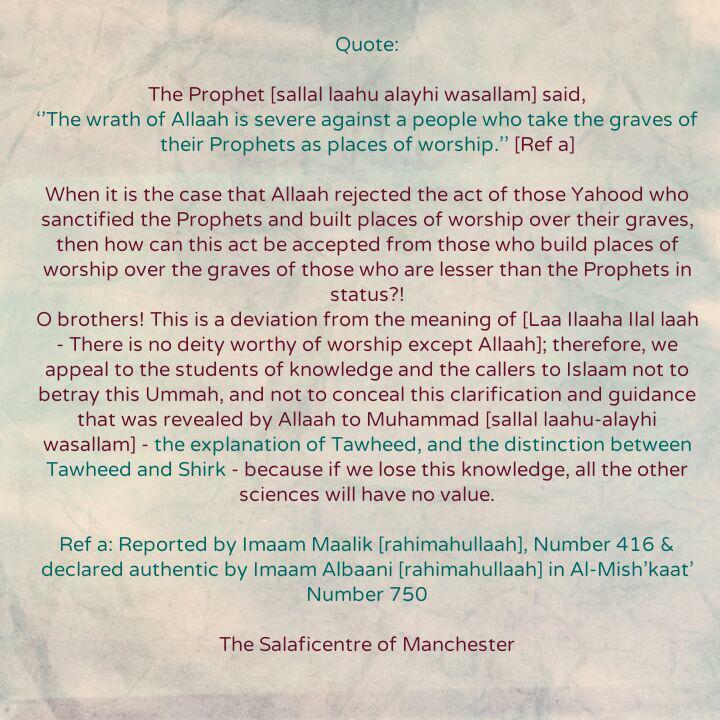 When it is the case that Allaah rejected the act of those Yahood who sanctified the Prophets and built places of worship over their graves, then how can this [same] act be accepted from those who build places of worship over the graves of those who are lesser than the Prophets in status?! O brothers! This is a deviation from the meaning of [لا إله إلا الله – There is no deity worthy of worship except Allaah]; therefore, we appeal to the students of knowledge and the callers to Islaam not to betray this Ummah, and not to conceal this clarification and guidance that was revealed by Allaah to Muhammad [sallal laahu-alayhi wasallam] – the explanation of Tawheed, and the distinction between Tawheed and Shirk – because if we lose this knowledge, all the other sciences will have no value.